When Niall Dolan set out to build his own house, the results were always going to be interesting. 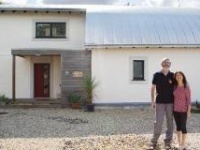 Dolan set up GreenTec Ecological Homes Ltd in 2002, and ever since then, he’s been at the forefront of sustainable building in Ireland. Based in Craughwell in south county Galway, the home Dolan built for himself, his wife Mary and his two children is a showcase of everything he has learned over the past 15 years. One of the fundamental aims of the build was to create an exemplar project in sustainable building for one-off rural houses. And what the Dolans have ended up with is a passive, nearly zero energy building that makes abundant use of sustainable, healthy materials. It’s also a beautifully designed home, and indeed, Dolan and his architect Miles Sampson put lots of time into making sure the finished house was both traditional yet contemporary. “I knew that Niall would be building the house to the highest standards in sustainability and construction quality,” says Sampson. The layout of the timber frame house takes its inspiration from the traditional farmhouse cluster, where home and outbuildings enclose a central courtyard. It also respects the site’s traditional boundaries of dry limestone walls and mature trees, all of which were retained. But just because the project had such an experienced contractor and client didn’t make it easy. For Niall Dolan, the central challenge of the project lay in simply getting the time to build the house in the first place. He explains that he struggled continually to find time between his clients’ projects to get the work done. Spreading the work out over such a long period caused quite a few complications. Take the wood fibre external insulation, a product that neatly represents the material choice across the project. The Dolans were keen to make sure that almost everything they used was natural. But by specifying wood fibre external insulation, the project took on a certain level of risk. Niall explains that you need nearly five weeks of dry weather, first to fit the insulation, then for rendering. That would be challenging in any circumstances, but to find that block of time in between his other commitments was especially difficult. There were no such issues with the cellulose insulation specified for the walls. Over 11,000 recycled newspapers were used to create the insulation, which he chose not alone because it was a natural material, but because it compacts well and fills the entire wall void easily. But in order to deliver passive standard thermal performance, a deeper build up is necessary than would be required with a synthetic insulant. 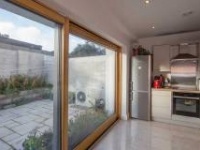 Niall was also keen to find windows which did not use petrochemical-based insulation in the frames, and sourced a passive certified unit from M-Sora. The frames are made entirely of wood, and feature a patented technology which gives a passive standard U-value using air alone as an insulator in the frame. 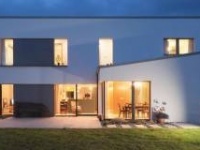 It’s interesting to note that specifying all timber, instead of aluminium-clad windows, reduced the spend on what is one of the biggest cost elements of any passive build by a full €10,000. By going with all timber units, Dolan was able to both maintain the traditional aesthetic he wanted for his house, and to keep faith with natural materials. The downside of course is the need to maintain the timber. The use of external insulation actually helps out quite a bit here however. The wood fibre extends over the frames of the windows, reducing the surface area exposed to the elements. Moreover, Dolan explains that in his last house, the choice of an all-timber unit worked out really well. He had anticipated that a rooflight, which Sampson specified for the entrance area, would have to be specially made to meet passive house standard. But at a trade show in Germany, Dolan came across a passive certified quadruple-glazed unit from Velux that fitted the bill perfectly. The first of its kind in Ireland, it’s solar powered, and can be opened remotely. Staying with solar power, Sampson was able to position the house to make maximum use of passive solar gains, while still retaining the mature trees. The back of the house faces south, and features a stepped profile to ensure that kitchen, dining room, sitting room and playroom all get equal sun. This elevation has a modern feel, with lots of glazing, while the north-facing front of the house has a far more traditional design, with small, dispersed windows looking onto the public road. The flat sections of the roof will be planted with sedum, while the pitched roof has been fitted with a 4kW integrated PV array. The sedum area was sized by the architect to offset the amount of carbon used in the making of concrete for the foundations, thereby delivering a zero carbon build. In addition, the roof is wired to take a further 6kW of PV if required. Dolan is also planning to source a battery to allow him to store power and thereby reduce his reliance on the grid at times when the PV is not producing. He also plans to have enough energy left to charge an electric car. The house is primarily heated by a Nibe air source heat pump, supplying underfloor heating on both floors. There’s also a gas-fire in the sitting room, where Dolan didn’t specify underfloor heating, to avoid any risk of overheating in a room with façades facing south, west and north. With so much sustainable building experience under his belt, you would think airtightness would not have been a problem on the build. Under normal circumstances, it wouldn’t have been. Again however, the fact that the Dolans had to stagger the project threw up unforeseen issues. Typically, Niall says, airtightness is done in one fell swoop over a two week period. Dolan adds that Emmet Nee, who helped erect the timber frame – manufactured by Advanced Timber Craft, who have since rebranded as Kudos – helped keep the building’s airtightness on track. “Emmet always ensured the first fix airtightness was under control,” he says. Dolan was also keen to ensure that any of the structural and performance elements of the build would not hinder architect Miles Sampson’s design flair. That meant, however, that a canopy extending from the back elevation created a particular challenge as far as airtightness was concerned, where it met the thermal envelope. 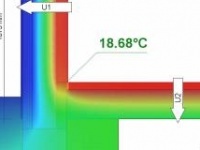 The preliminary result measured by airtightness specialists 2eva.ie – 0.58 ACH – is just inside the 0.6 ACH passive threshold. Dolan expects this to improve further when the final test is completed, as much more sealing work has been done since. One thing Dolan allowed additional time and budget for was slabbing the interior walls. Instead of conventional plasterboard, he sourced magnesium oxide board.This has the advantage of having a much better racking strength compared to conventional gypsum slabs. You can hang everything from kitchen units to TVs directly from the boards – which again are natural materials – without the usual need in timber-frame construction to incorporate a timber filler behind the wall. The wood fibre external insulation extends over the frames of the timber windows, reducing the surface area of window frame exposed to the elements. But is it possible to quantify the impact of such an ecologically-minded spec? In the absence of a full life cycle assessment, there are some positive indicators. In very rough terms the use of the insulated raft foundation likely reduced concrete use by 40 to 50%. What’s more, an extremely low carbon alternative to Portland cement – ground granulated blast-furnace slag (GGBS) from Ecocem – was used, including 50% of the 50m3 or so of concrete used in the foundations, and 25% of the 17m3 in the floor screeds. According to Ecocem’s environmental calculator, the net effect is that seven tonnes of CO2 were prevented from being emitted into the atmosphere – which is equivalent to over 56,000 km worth of driving by a typical family car. That figure would almost double if the concrete-reducing effect of the foundations were added, even before considering the buildings other low carbon materials, and the amount of sequestered carbon in the building’s wide palette of timber materials. The family moved in last September, and so far, all is great. “The heat is so consistent,” says Mary Dolan. “You don’t have to worry about closing doors or drafts. You’re not worrying about the kids being cold, even when you bathe them. I remember as a child shivering for an hour after a bath, but here it’s always warm,” she says. But the real proof of the pudding is in the energy bills. 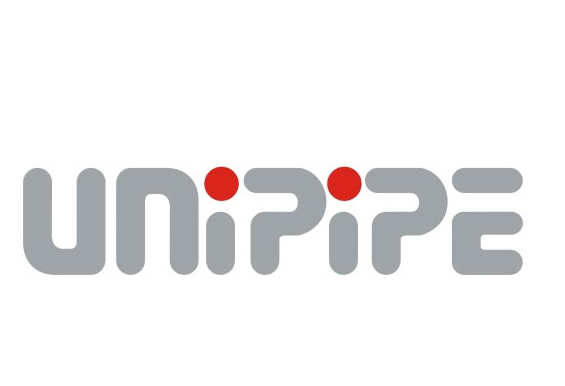 “We checked the running costs of the heat pump from the 22nd of August 2016 to the 7th of Feb 2017. It’s €190 in total for heat and hot water, with hot water taking €110 of that.” The Dolans also spent €75 for one barrel of gas — that makes for a total of just €155 for space heating through most of autumn and winter. Roof window: Velux quadruple-glazed, passive house certified, solar powered roof windows. Overall U-value: 0.70 W/m2K Heating system: Nibe VVM 320 air source heat pump with underfloor heating everywhere apart from sitting room. 200 litre hot water tank. DRU Global 60 gas fire with balanced flue to sitting room. Ventilation: Brink 400 MVHR unit, Passive House Institute certified heat recovery efficiency of 84%. Green materials: Timber frame, MGO dry lining board, salvaged slate, cellulose insulation, wood fibre insulation, salvaged stone, GGBS cement (50% in slab, 25% in screeds), sheep wool carpets, cedar cladding, all-timber windows, sedum roof still to be fitted. We produce thermal and acoustic insulation products made from 100% pure sheep's wool. 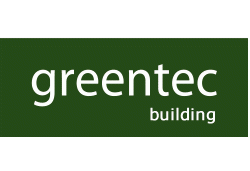 Serving Galway & Clare, award-winning builders GreenTec specialise in building homes & commercial buildings to passive and nZEB levels.